Technology is advancing at such a fast pace these days, with tech giants perpetually trying to one-up each other. 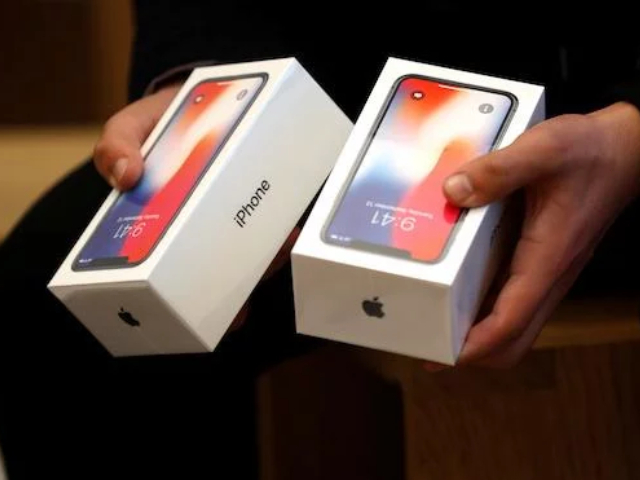 If you purchase a new iPhone today, don’t be surprised if tomorrow you no longer have the latest gadget in town because of another new iPhone set to be released. So if you’re planning on getting yourself an iPhone, we suggest waiting a few more weeks, because the iPhone 11 is just about to hit the shelves. We all know that Apple prides itself on products that embody sophistication and functionality. Every new iPhone being introduced in the market will always be a sure hit. No doubt, stores that sell iPhone units are already preparing for this new release. After all, they need to promote the existing iPhone models before the latest addition hits the market. As for us consumers, given how each new model will always have its pros and cons, we need to start doing our research and answer the same question we ask ourselves each year: Will switching to the latest model be worth it? This new unit will surely be another game changer. Here’s everything we know so far about Apple’s newest iPhone, the iPhone 11. Reportedly being released this September 2018, the iPhone 11—or maybe the iPhone XI, as its official name has yet to be confirmed—will likely be priced around $999, like the iPhone X. Some speculate it may also cost $100 less than its predecessor. As for its look, the iPhone 11 may resemble the iPhone X. Especially since the iPhone 8 and 8 Plus are nearly identical to the iPhone 7, it looks like the tech giant isn’t too keen on drastically changing the physical design that we’ve come to love. This means we may still see an all-metal body that has a glass back for Qi charging. An edge-to-edge screen and a vertical camera may also be present. Rumor has it that in terms of the iPhone 11’s colors, Apple might offer vibrant options like they did with the iPhone 5C, or introduce new ones like gold. The Apple iPhone 11 will likely have a 5.8-inch screen and a pixel density of 458 ppi. Another rumor circulating is that Apple may ditch the lightning port in exchange for an industry-standard USB type port. If this is true, it would be the company’s first time adopting a universal connection for one of its phones. One latest point of conversation is whether Apple will finally be offering a gadget with dual-sim capability. It has also been reported that the iPhone 11 will have three 12-megapixel cameras on its rear that come with the ability to zoom up to 5x. Although there is no news yet if it will be using a digital zoom, an optical zoom, or a hybrid. And there you have it, everything we know so far about Apple’s upcoming star. Let’s see what September 2018 will bring! Gadgets and gizmos aren’t just for entertainment. Shops that sell laptop units and accessories will tell you that college students are always hunting for devices to help them with their studies. Even high school students these days use gadgets in school. Most of the phones, tablets and smartwatches today are optimized for general use. But there are a few devices that are specifically designed for students. Below are top student-friendly devices that are also cheaper than most premium gadgets. From the very beginning, Microsoft Surface Pro 4 has been a favorite of universities that use gadgets as school tools. 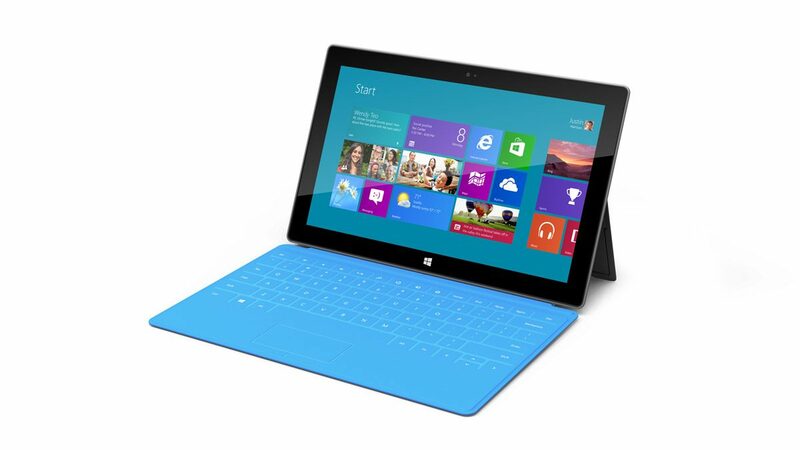 This convertible laptop-tablet is globally recognized and awarded for its functions and features. This Microsoft-manufactured tablet has powerful specs. One of the features that makes it great for students is its weight and ergonomic form-factor. The Surface Pro 4 is very compact. You can easily put it in your backpack and bring it anywhere. Its convertible form-factor makes it a solid desktop replacement. It has a 12.3-inch PixelSense screen, which is great if you use your laptop throughout the day. In terms of software, the Surface Pro 4 is powered by Windows 10 Pro, one of the most productive operating systems ever. And on a single charge, this MS laptop can run for nine hours straight. If you want a phone that has practically the same features seen on premium smartphones, but without their hefty price tag, go for the OnePlus 6. This 2018 OnePlus flagship comes with a glass-based design, a solid battery life, and the most recent processor chip. You can use it to store all your school activities and more, thanks to its massive 8GB of RAM. For its reasonably decent price, you’ll get a camera that is better than the one on the iPhone X. This feature is particularly valuable if you often take photos of your school activities or notes written on whiteboards. The camera can also act as an instant ‘photocopy’ machine if you have to copy notes on textbooks or journals. Some may see a smartwatch as a ‘want’ instead of a ‘need’ for students. But in many instances, this is not the case. A smartwatch can make a student’s life easier in terms of paying bills, tracking fitness or even synching projects on multiple gadgets. Much like the Surface Pro 4, the Watch Series 3 from Apple isn’t the most economical smartwatch in the market. But if you calculate performance over value, it’s a gadget that is worth investing in. Having a Watch Series 3 connects you online at any time of the day. Because it’s a wearable device, you can literally bring it anywhere you go. The Series 3 is ideal for students with an active lifestyle or play sports. It is the best one for fitness and GPS tracking. It also plays music. And if you don’t have money on hand, simply access Apple Pay to pay for your lunch. The tech industry is always trying to answer the growing demands of the market. It is no wonder that you hear about updates for gadgets left and right. The businesses that sell cell-phones, laptops and other gadgets are always on the lookout for these updates to make sure that their target consumers are informed of the latest updates. The creators of OnePlus are no different as they pride themselves for valuing customer feedback. This actually isn’t new for this company as they have been quite open to their users’ requests and feedback. In fact, they have previously checked something off from their user’s request list – the roll out of their ultra-fast face unlock feature on their older phones. The same thing goes for the Project Treble support on the OnePlus 5 and the OnePlus 5T. There are several other fixes that this company rolled out after listening from their users. The company recently released the news that made their users gush with excitement. 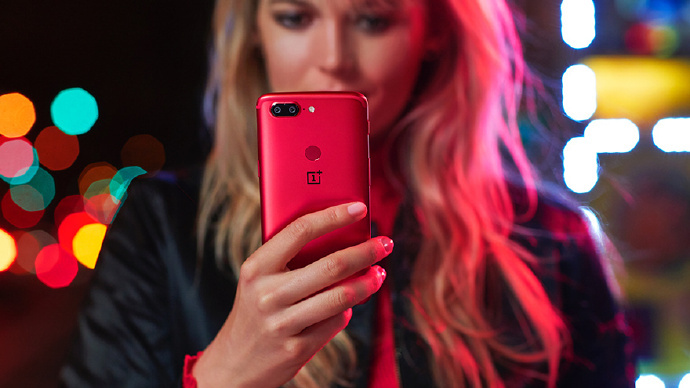 Their users were happy to hear that their previous phone models, the OnePlus 5 and the OnePlus 5T will get an upgrade: the Selfie Portrait Mode Feature. This news was initially heard in their latest Open Ears forum in India before it was broadcasted in official forums. This feature was originally only available in the OnePlus 6. The portrait selfie mode feature came in as a software update, shortly after its launch. People went gaga over it, as this feature allowed its users to have the feel of using a wide aperture DSLR lens. This feature gave its users an ability to manipulate their photos and add more technical drama in their images. This update was welcomed by the public with open arms because it does not require dual front facing lens. It is quite similar and comparable to the Google Camera app on the Google Pixel 2, which is purely software-based and downloadable, making it very accessible. It is interesting to see how this would play out with OnePlus5 and OnePlus 5T’s 16MP front cameras. Most users and gadget enthusiasts will probably find this as a very appealing feature, especially since OnePlus phones aren’t exactly known for their outstanding photo-taking abilities. Now this feature definitely amps up these phones’ photo prowess. There is no exact release date yet from the creators of OnePlus, but it is safe to assume that porting this feature wouldn’t take too long. As this feature is completely software-based like what they have with the OnePlus 6, porting this feature to their previous models doesn’t seem too far fetched or too impossible. In the meantime, stay tuned and keep your fingers crossed as we anticipate the official release date of this upgrade. The world went crazy when an accidental uploading of the rumored Samsung Galaxy watch went up in no less than Samsung’s official website. For a brief moment, the rumored new smartwatch showed up on Samsung’s website in the US. It is said that its model number was not quite a match to the reported filings at FCC, so this might be a variant. Markets that sell laptops, tablets, and cellphones are all on the look-out for what Samsung is cooking up. The entire gadget industry is quite sure that the buzz about the new Samsung Galaxy watch is a positive sign of how people would welcome this new watch on the block. So when will Samsung launch its newest addition to its line? A lot of rumors are running around that it might be launched during Samsung Galaxy Note 9’s release in New York on the 9th of August. However, many think otherwise. Experts believe that Samsung would hold off a bit because launching it together might take the attention off the Note 9. Another date to watch out for is the 31st of August. Some say that the Samsung Galaxy Watch’s unveiling might be in Berlin during the IFA, Europe’s biggest tech show. Whichever one is true—Samsung will definitely not make us wait too long. From its launch date, it is expected hit the stores within a month after. What can we expect from the New Samsung Galaxy Watch? What stepped-up features can we expect from its predecessor, the Samsung Gear S3? Currently, there are no definitive reports yet on what’s new with this upcoming watch but a lot are saying that it could have bigger batteries. Samsung might have shifted from the use of 380mAh, which was used in Gear S3, to a 470mAh. Currently, Gear S3 already boasts its ability to last for 2 to 3 days. If we are to expect that this Samsung Galaxy Watch can offer more, it could be aiming to be recognized as the longest-lasting smartwatch around. Having bigger batteries may also be essential if reports about its additional features are true. They say that this new watch may have a built-in blood pressure monitor, which could use up a lot of battery life. People are also buzzing if Samsung would be deviating from its traditional use of Tizen and go for Google’s Android Wear OS. Although this rumor has been circulating, there is a greater possibility for Samsung to stick with Tizen. 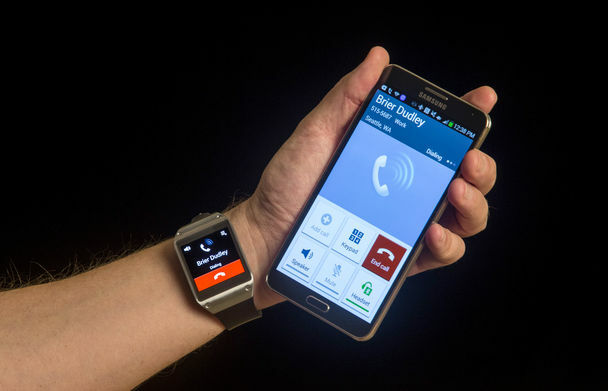 Samsungs’ smartwatches have been using its in-house operating system. It boasts of having voice control skills, powering Bixby, Samsung’s voice activated personal assistant. With this, more are leaning on Tizen. After all, Tizen is the second most popular wearable OS (next to Apple’s watch OS). As more rumors circulate, the excitement about Samsung Galaxy Watch’s release heightens. Expert’s assumptions and guesses add thrill and excitement for gadget lovers and enthusiasts. People are definitely waiting for Samsung’s unveiling of their new smartwatch. Whichever may be true from all these speculations and assumptions, one thing is for sure, we are all on the lookout.